Where is the future of farming going? How is all the new technology being developed going to be integrated on the family farm in the next 20 years? Robert Saik, Founder of the Agri-Trend Group of Companies (now part of Trimble Navigation), Professional Agrologist, and Certified Agricultural Consultant, gave us a look at how this new technology will affect your family’s farm today and in the future during the latest installment of the GenNext Webinar Series, which was sponsored by BASF. Saik started his presentation by framing the current pulse of farming and the current pulse of technology. “The problem we’re having with agriculture is most people are just floating down the river, not thinking much about the currents that are pulling us along,” he says. One of these powerful currents is the huge amount of data generated on farms. Saik estimates it’s about 5 exabytes every 15 minutes. One exabyte is equivalent to 1 billion gigabytes. Essentially, it’s a lot of information. In fact, computing power also is speeding up at a rapid pace. Saik estimates computing power in the next five years will be the same speed as the human brain and by 2050, it’s going to be as fast as the entire population combined. “Technologies are bringing everything together, and it’s no different on the farm,” he says. 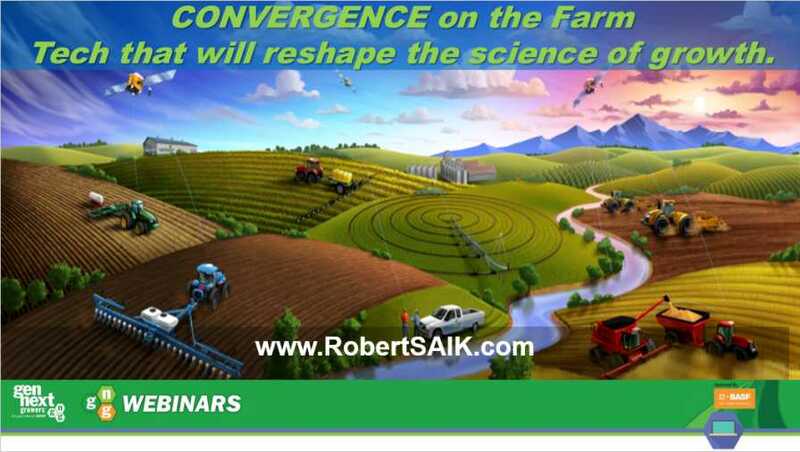 This is what Saik calls the convergence, the rapid development of new technologies and the need of agriculture to seek solutions to disease, pests, labor, low yields, etc. It’s essentially a perfect storm. And this perfect storm is the perfect opportunity for the next generation. Saik says the best people for the job are able to tie the needs of agriculture with the rapidly developing technology. 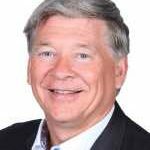 And Saik suggests young growers who have family members reluctant to incorporate some of these new technologies on their operations get them started right away. At this point, there has been a lot of data generated on your farm. But the next step is to apply that data throughout the farm to give a snapshot of the overall operation. Saik said microsatellites and drones will become a larger part of scouting, where you’ll be able collect images of different parts of your operation with high-resolution inexpensive imagery. You will be able to spot trouble spots (water stress, diseases, etc.) from the sky in real time and be able to apply the information collected to make decisions on the farm. “You could actually diagnose a root problem from space,” he says. Saik says cellular mitosis sensors have potential implications on your farm. 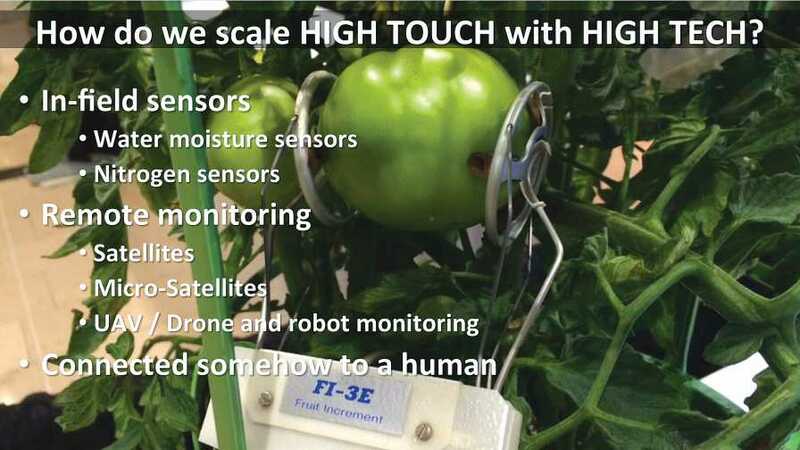 He included an image of a tomato with this sensor and explains how it would help your operation. “As the tomato is expanding, it will tell us how rapidly the tomato is growing so we can match water and fertilizer with that tomato growth,” he says. In the end though, Saik says, the data collected isn’t the endpoint of precision agriculture. 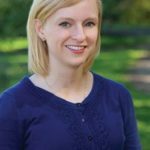 As more data is collected, it is going to be crucial that you understand how to apply the data you’re collecting. To view the webinar On Demand, click on the image below.